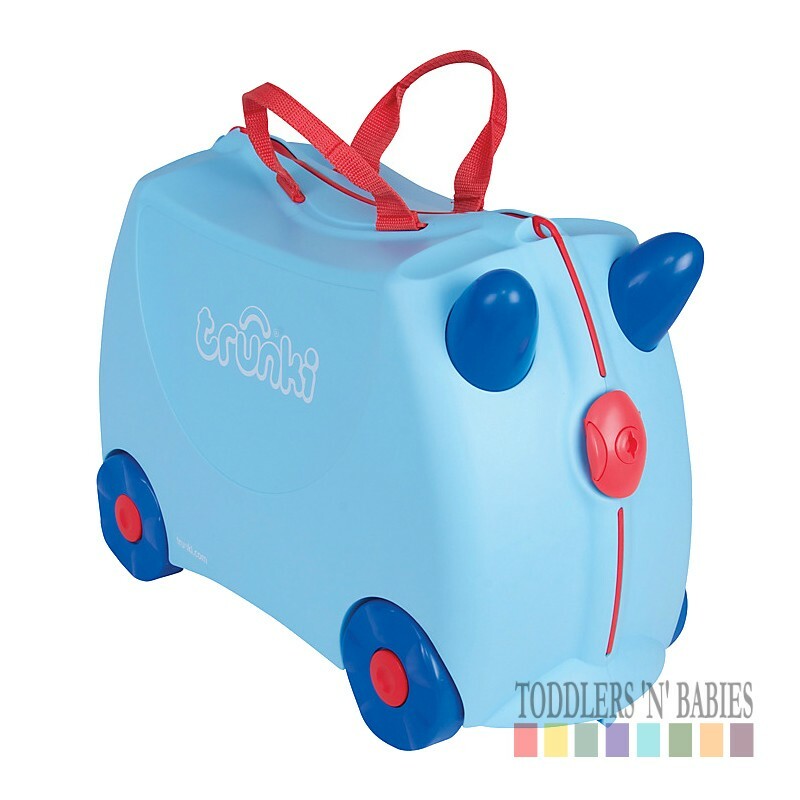 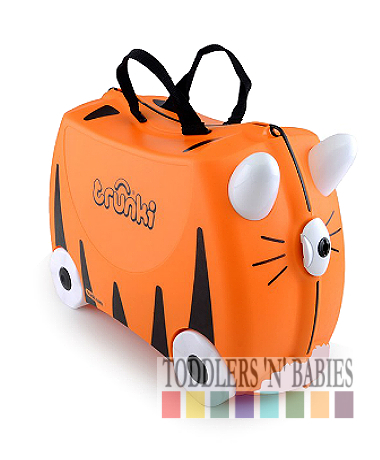 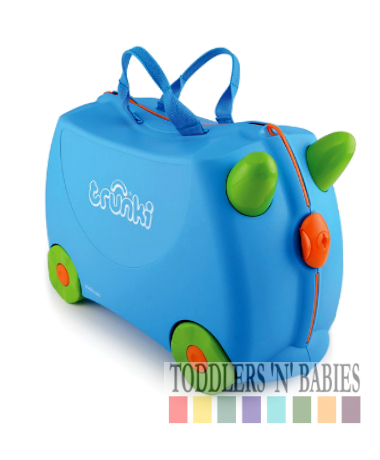 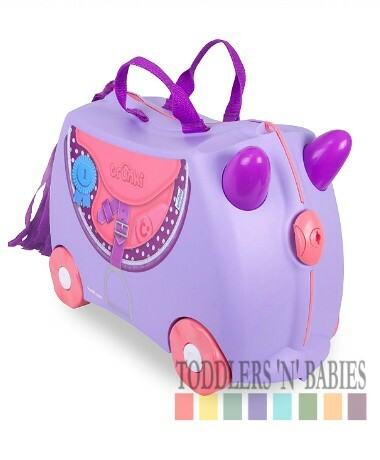 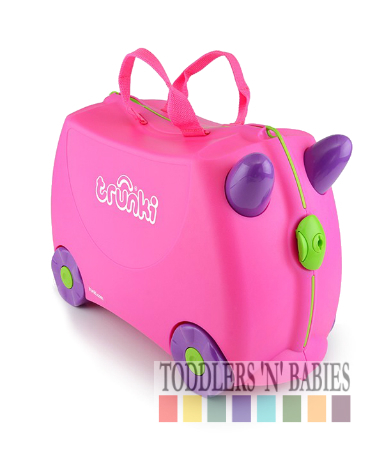 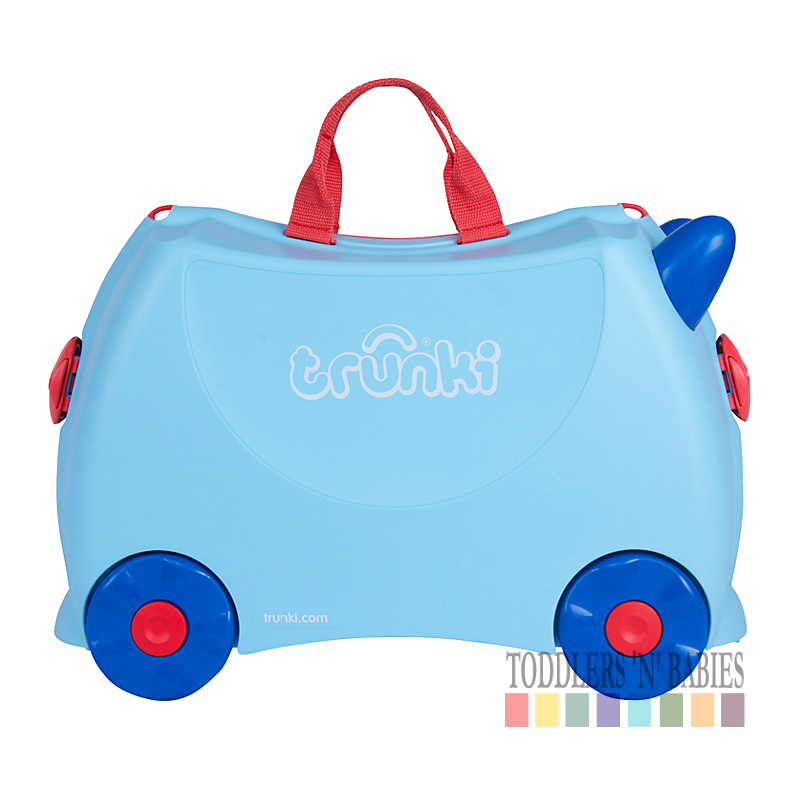 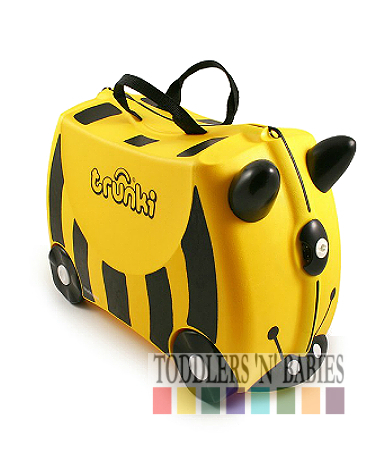 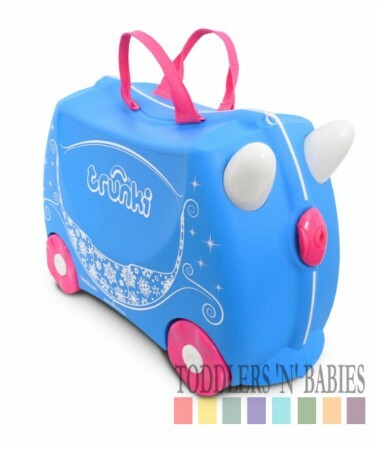 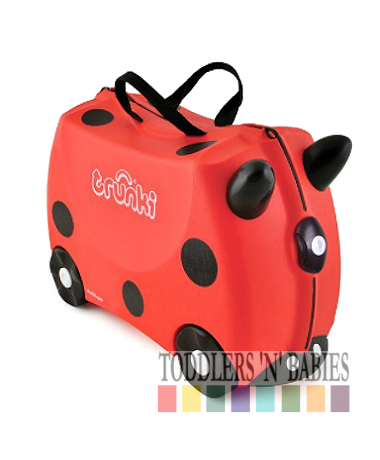 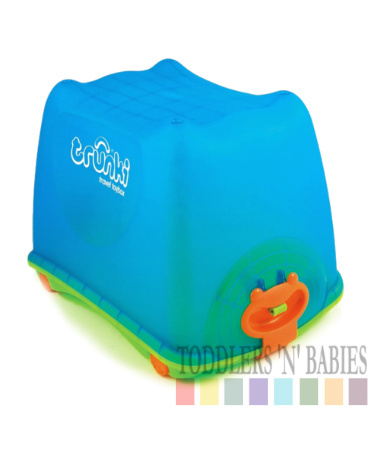 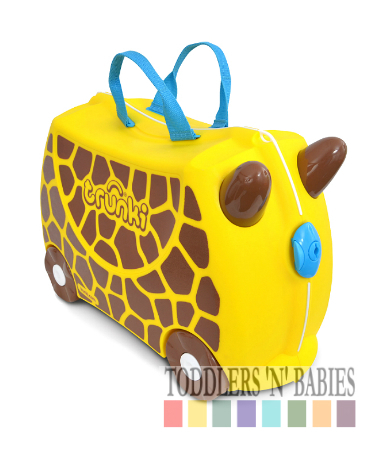 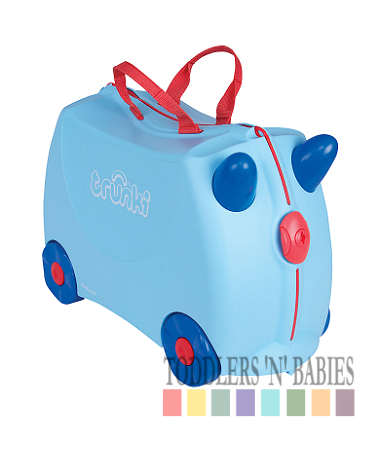 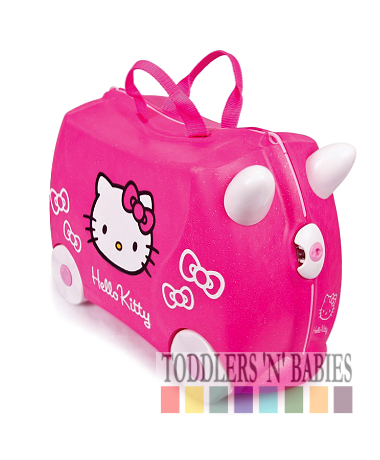 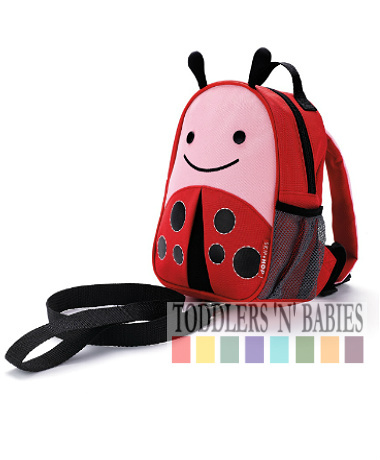 Pastel George is a Trunki fit for a prince. 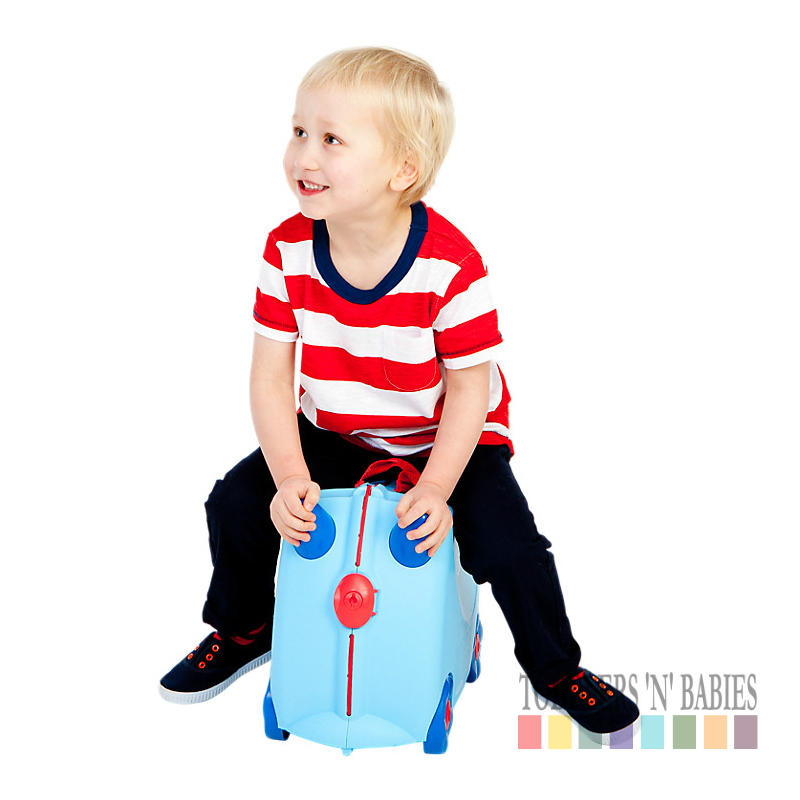 He's exclusively manufactured in Britian, so of course prefers to ride on the left and is partial to a cream tea. 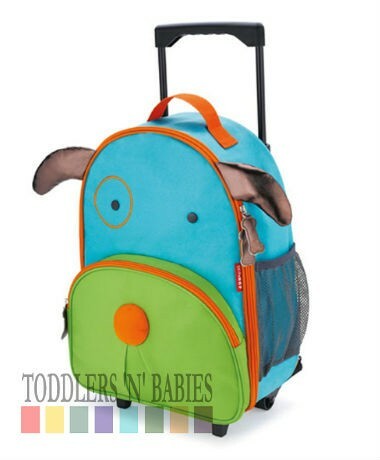 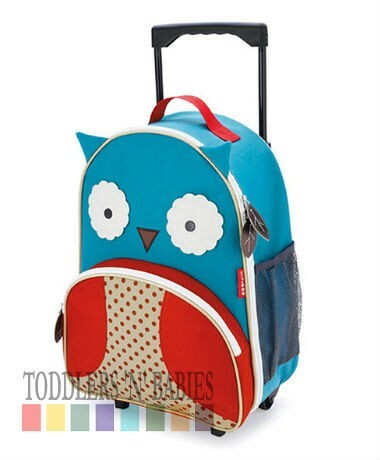 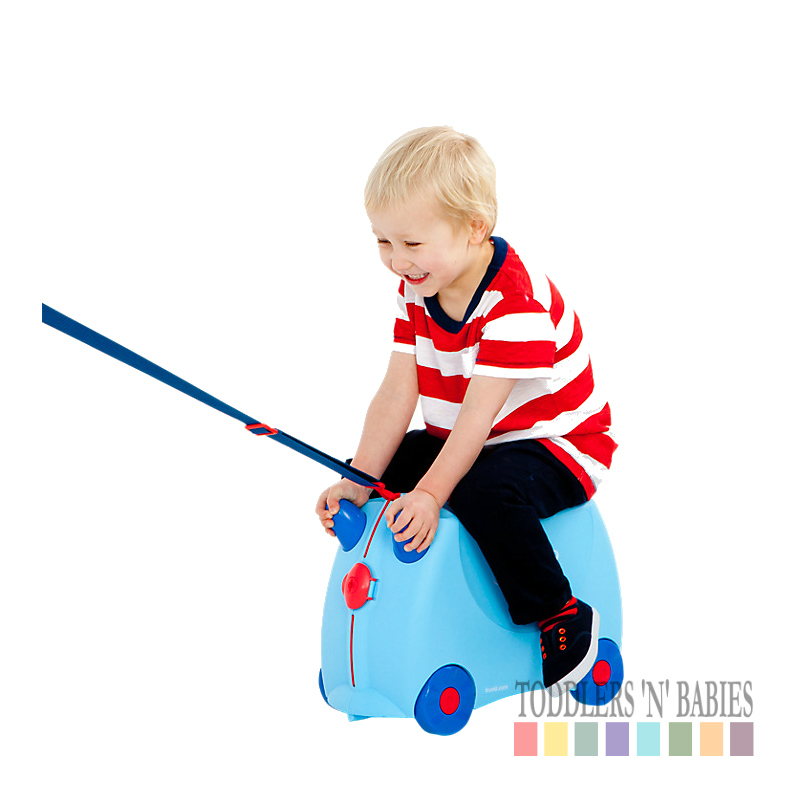 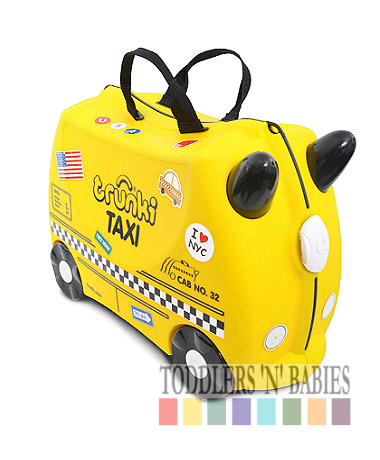 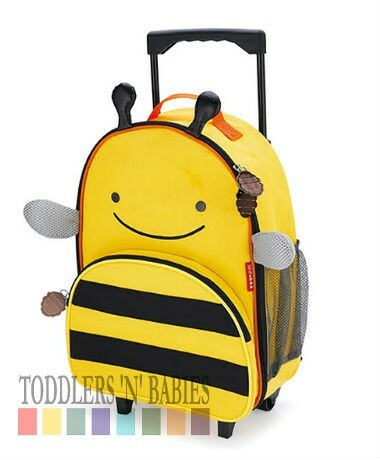 This unique ride-on suitcase has a saddle-shaped top, 4 integrated wheels, and stabilisers at the front to prevent your little toddlers from falling off. 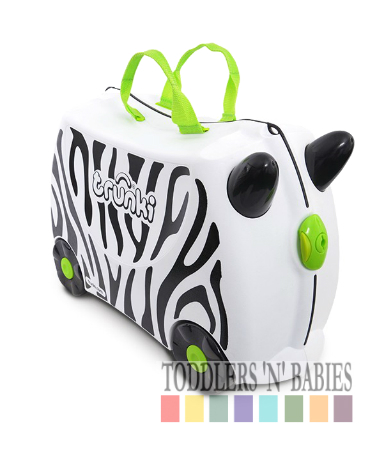 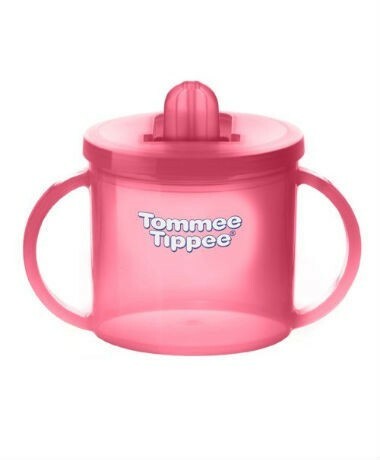 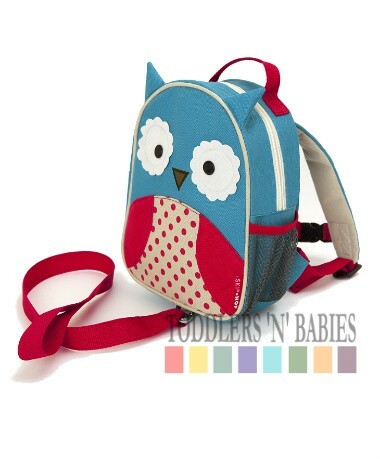 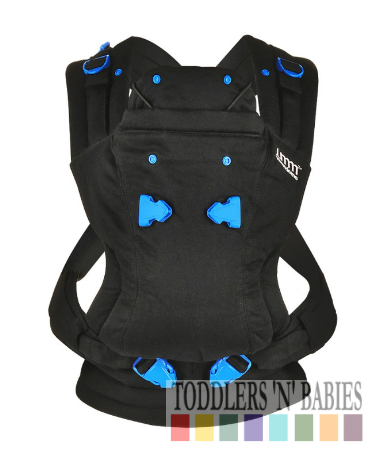 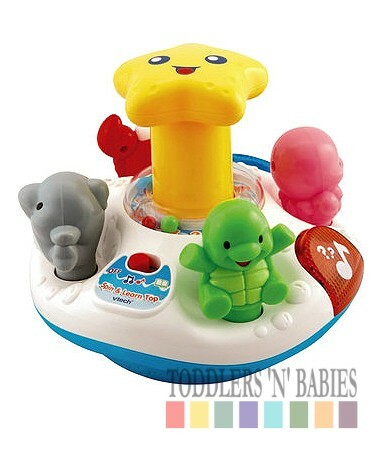 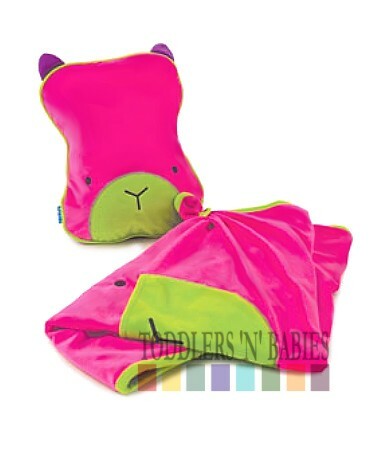 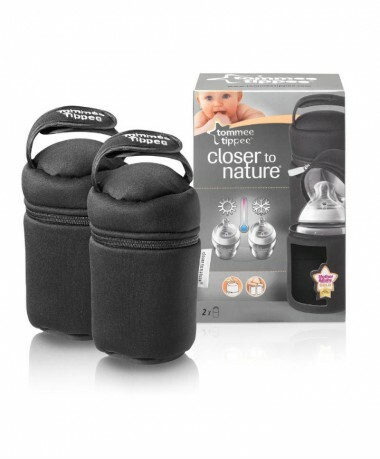 While the 2 horns at the front give your child something to hold on to when they're wheeling around.